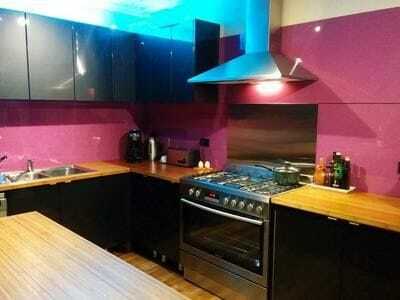 NEED designer splashbacks & wall panels delivered for your domestic or comercial project ? ISPS Innovations supply the biggest range of splashbacks for your comercial or domestic kitchen, bathroom, laundry or other use? Our Acrylic Splashbacks, Bonethane Splashbacks ® or VetroPoly Glass Splashback designs energize any commercial project or domestic DIY kitchen, bathroom or laundry into an elegant fresh space. Commercial architects and interior designers specify ISPS Innovations and our Polymer Splashback & building material range for its's function, flexability and endless colour options. 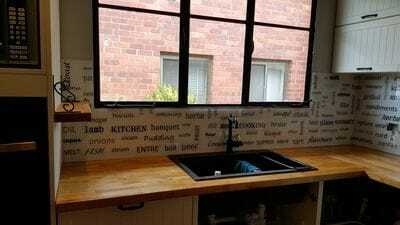 DIY Devotee's use ISPS Innovations for custom DIY Splashbacks in a number of applications for their DIY home improvements. ISPS Innovations will beat any custom coloured 6mm Acrylic cut to size splashback or wall panel written quote and always go one better with our total product range. 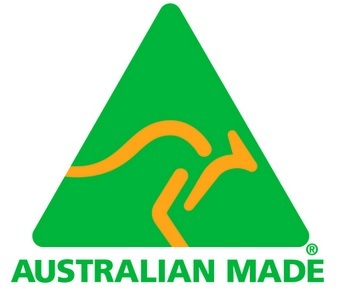 We offer commercial rates to tradesman ABN holders on our entire range. Our glass and polymer substrates create a visionary choice of satin or gloss elements in solid, metallic, abstract EFX colours or an endless printed colour range. 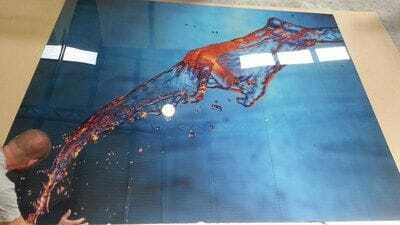 ISPS Innovations can colour match any colour substrate. Rid your shower recess of grout mould & soapy scum. Live in a clean sophisticated modern space fit for any bathroom that is hygienic, sparkling and creates an open universe. A section that is always forgotten is your laundry, create a feature out of your domestic work space. ISPS Innovations have a splashback range to suit any request. ISPS Innovations are leaders in Acrylic Splashbacks & Bonethane Splashbacks that look like glass. We also supply Etched Glass, toughened starfire and float glass. 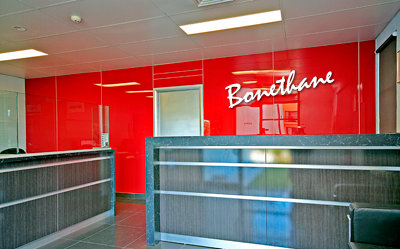 Bonethane splashback & wall panel range: a high heat polymer, stronger & lighter than acrylic, cuts with ease. Wonderful gloss suface, easy to maintain. No polishing required! Bonethane The DIY favourite (as seen on better homes and gardens). Available in gloss or satin finish & available in any colour, digital print & ISPS EFX. Comes with GRIPTEK backing. Anti static perfect for medical facilities. Acrylic Splashback in IPA Acrylic Series, can be cut on site, hardwearing surface, low heat bearing. Available in gloss or satin finish comes with GRIPTEK backing. VetroPoly Toughened Glass & satin etched glass can not be cut after toughening. Can be used behind gas burner used as feature walls and decorative surfaces. 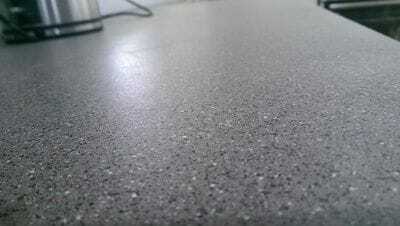 Hardwearing surface / gloss surface. Satin Etched Glass, finger print free satin etched finish. Available in any colour or clear. Stunning designs. 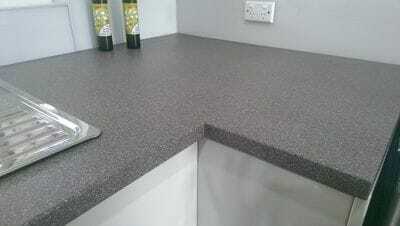 Our Splashback range cover the following. Picture Portrait displays bringing favourite memories or commercial displays to life, by placing a light source behind our superior sheeting. Bonethane & IPA Acrylic can be used as doors. These images show case the amazing choices our polymer range can cover. 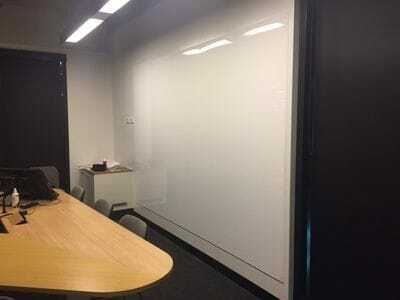 The white board below used with our superior PMMA IPA Acrylic sheeting doubles as a projector screen at an Australian University. 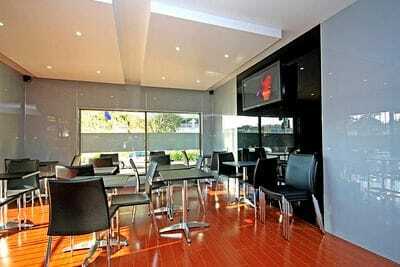 The Architect & Designer for this cafe used our polymer range to add contrast with two tone effect. Biggest custom coloured splashback range at an affordable luxury price that is DIY friendly! 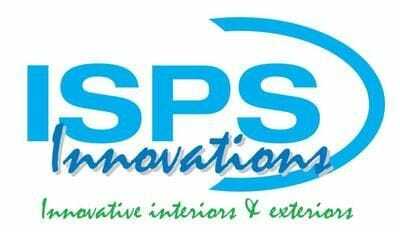 ISPS Innovations are contactable 7 days a week 9am till 9pm Monday to Friday and 11.00 am to 9pm Saturday and Sunday. CULOURTEK Creations any colour benchtops by ISPS Innovations non porous surface in textured or satin finish.